We love all things rainbow. Check out this delightfully easy way to serve up fruit for breakfast, in the lunchbox or as an after school snack. Prepare the fruit by washing, peeling & dicing the fruit into small pieces. 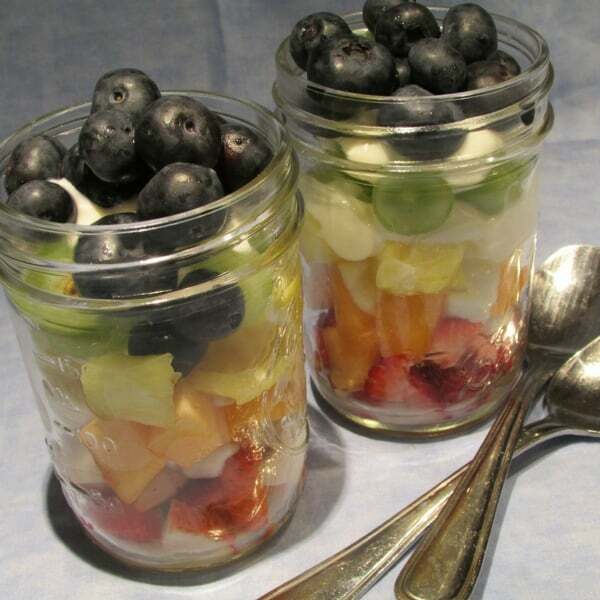 Create a rainbow of layers in a canning jar or other clear parfait style glass by selecting one fruit from each color list above, placing it in the jar & separating each color with 1 – 2 tablespoons of Greek vanilla yogurt. 1. Fold together 1 cup of Greek vanilla yogurt together with 1 – 2 tablespoons of 100% pineapple juice & 3 oz. of vanilla yogurt. 2. Fold together 1 cup of Greek vanilla yogurt together with 1 -2 tablespoons of fresh lime juice and 3 oz. of vanilla yogurt. There’s more than one way to eat a rainbow! 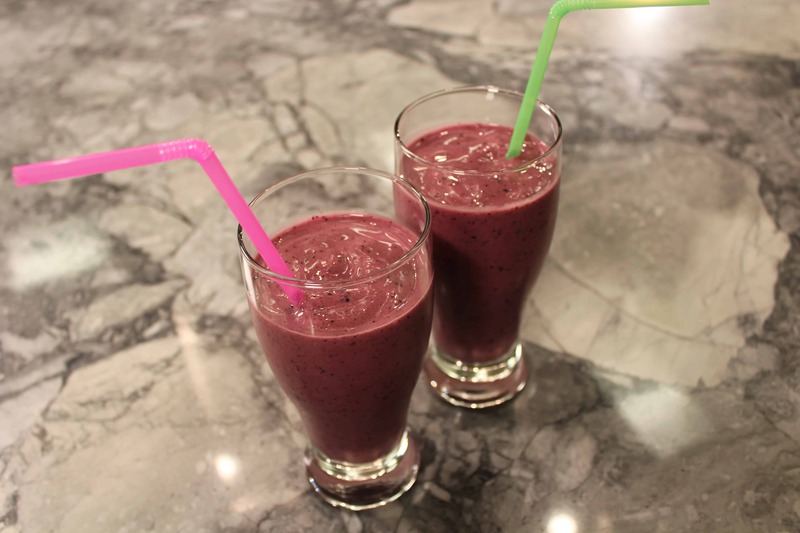 Maybe you might want to try a sip of a rainbow and make a Rainbow Smoothie = YUMMO! Click here for rainbow fun. Or try making rainbow fruit kabobs for your classroom party or just because…Click Here. I just love your Fruit Parfait, it would be yummy to me! Thanks so much for sharing your awesome recipe with us at Full Plate Thursday. Hope you are having a great week and come back to see us real soon! Heya Jodie. I dont know why but neither of your pin buttons worked for me today for any of your recipes. My browser shortcut also was saying no images found? Just wanted to let you know I yummed but didnt pin this week. I love fruits with Greek yogurt. I add some buts sometimes too.